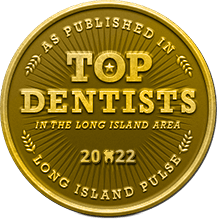 As the number of cosmetic dentists in the Long Island area continues to grow, it is imperative that patients recognize two vital considerations: First, cosmetic dentistry is inherently a form of great artistry. Secondly, not all cosmetic dentists are created (or skilled) equally. The dentist you ultimately choose will become your trusted partner in the transformation of your smile, one of your most valued natural assets. At the state-of-the-art dental practice of Dr. Allan S. Mohr, patients seeking beautifully enhanced smiles are treated to an all-encompassing range of cosmetic dentistry services, each performed with unparalleled artistic skill and careful exactitude gleaned from decades of experience. Selecting a dentist who can fulfill all of your smile’s unique cosmetic needs is an important and personal decision. When searching for a cosmetic dentist in the Long Island area, we recommend that you keep the following factors and criteria in mind while making your decision. Dr. Allan Mohr graduated from the New York University College of Dentistry in 1983. He opened his private practice in Massapequa Park, NY in 1986 with an emphasis on cosmetic dentistry, restorative dentistry, and implant dentistry. He has lectured extensively at local and national meetings on topics ranging from esthetic dentistry to conservative restorative dentistry. He has completed coursework at two of the most prestigious centers for advanced education in the world: the Pankey Institute and the Dawson Academy. They are both renowned postgraduate educational centers where dentists from around the world study new techniques and materials, as well as methods for creating a well-balanced bite. A commitment to continuing education is a prime indicator of a doctor who is consistently dedicated to serving his patients well. Throughout the year, Dr. Mohr attends many continuing education seminars to stay up to date with the latest advances in dentistry. In fact, Dr. Mohr has achieved over 2,000 hours of continuing education, far more than what is required. In New York State, a dentist needs to take 60 hours over 3 years to renew his license. Dr. Mohr completes 60 hours each and every year! 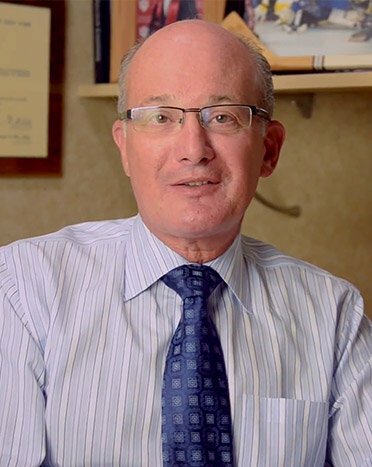 In addition to maintaining his private practice, Dr. Mohr has served as the Section Chief in the Department of Cosmetic Dentistry at the Jamaica Hospital Medical Center Residency Program since 1996 and received an Excellent Educator rating from the 2011 graduating Residents. He also serves as a Clinical Associate Professor in the Department of Dentistry at University Hospital in Stony Brook, New York. Reading and hearing about a cosmetic dentist’s skill can certainly help you narrow down your list of choices, but seeing is believing. Dr. Mohr takes meticulous photographs of all cosmetic cases before and after treatment. Our current and prospective patients are welcomed to view the dramatic smile transformations he has performed; view our online gallery or visit our practice to see the kinds of amazing results you can expect from your own cosmetic treatment with Dr. Mohr. For any cosmetic dentist -- aside from the genuine satisfaction of his patients -- there is no greater honor or evidence of respect earned than commendation from his peers. 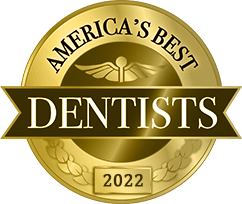 topDentists™, a comprehensive list of dentists and specialists from across America, features hand-selected oral healthcare professionals nominated and voted for by other dentists. 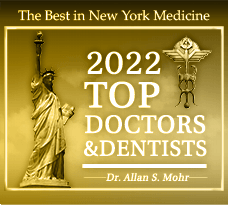 Dr. Mohr was selected and voted by his peers to topDentists™ for cosmetic and general dentistry, further proving his merit, skill, and dedication to his craft. Because the American Dentistry Association (ADA) does not place focus on the specialty of cosmetic dentistry, it can often be difficult for patients to determine precisely how much experience and expertise a cosmetic dentist actually possesses. That is why it is essential to ascertain professional membership with the American Academy of Cosmetic Dentistry (AACD). 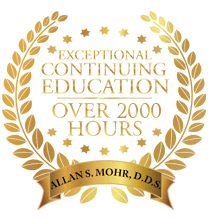 Dr. Mohr has been an active member of the AACD for over 25 years, attending courses and seminars to stay current with the latest advancements in cosmetic dentistry. He is 1 of 6 dentists in all of Long Island to be a member of the prestigious American Society for Dental Aesthetics (ASDA). Additional memberships include American Academy of Implant Dentistry, the Academy of Laser Dentistry, the American Prosthodontic Society, and the Academy of Osseointegration. Dr. Mohr is also a fellow of the International Congress of Oral Implantologists. Beyond interpersonal skills and experience, there are many aspects of cosmetic dentistry that require extensive and additional training than what is provided in general dentistry. The materials that a cosmetic dentist often uses are much different than what is utilized in general dentistry. There are various porcelains, complex bonding agents, luting (cementing) agents, tints, and other aesthetic products. To master the use of these materials, one must comprehend the chemistry of bonding, as well as how these products interact with each other. Only with extensive training, decades of experience, and these characteristics can a cosmetic dentist truly fulfill the unique, evolving needs of his patients. Even the most severely damaged and cosmetically flawed smiles can be utterly transformed and brilliantly reimagined, but only when in the capable hands of the right dentist. How much experience does this dentist have treating complex cosmetic issues? Do the office’s amenities and atmosphere make you feel comfortable as well as safe and confident? Does the practice feature all of the latest in dental technology and equipment? Are before and after photographs of previous patients readily available? Does the dentist have favorable reviews from actual patients available publicly? Do you feel relaxed and comfortable on a personal level with the doctor and the staff? A friendly, genuinely caring chairside manner is essential to the success of any doctor/patient partnership. Does the doctor perform complicated procedures (such as a full-mouth reconstruction), or do they need to refer patients to a specialist? Any general dentist can claim to be a cosmetic dentist. General practitioners are trained to focus on function with less appreciation of appearance. They are trained to “fix” things, while the cosmetic dentist is trained to “create” things during the process. Cosmetic dentists must be able to process the patient’s perceptions while creating beauty in appearance. The cosmetic dentist must not only be able to access what might be wrong with the patient’s teeth, as a general dentist would, but they must also be able to interpret the patient’s self-perception of the problem. If the patient is not satisfied with their smile, the cosmetic dentist must then apply his scientific and artistic knowledge to rectify the situation. Cosmetic dentistry solutions from Dr. Mohr can so easily, so affordably, yet so radically beautify your smile and restore your self-confidence. When you are looking for a Long Island cosmetic dentist, you want to be absolutely certain that the professional you choose possesses the skill, experience, education, and artistic precision necessary to perform the complex, delicate cosmetic procedures your smile deserves. Entrust your smile’s beauty and health to the one cosmetic dentist on Long Island whose abilities, years of experience, and extensive training speak for themselves. Contact the office of Dr. Allan Mohr to schedule your cosmetic dentistry consultation today. We genuinely look forward to providing you with an exceptional dental experience unlike any other, helping you achieve the strong, radiant smile you’ve always wanted.